The automotive world let out a collective sigh yesterday when spy shots published by Autocar seemed to confirm the sad rumor that the upcoming Toyota Supra revival will be an automatic-only, hybrid affair. All together now: ugh. 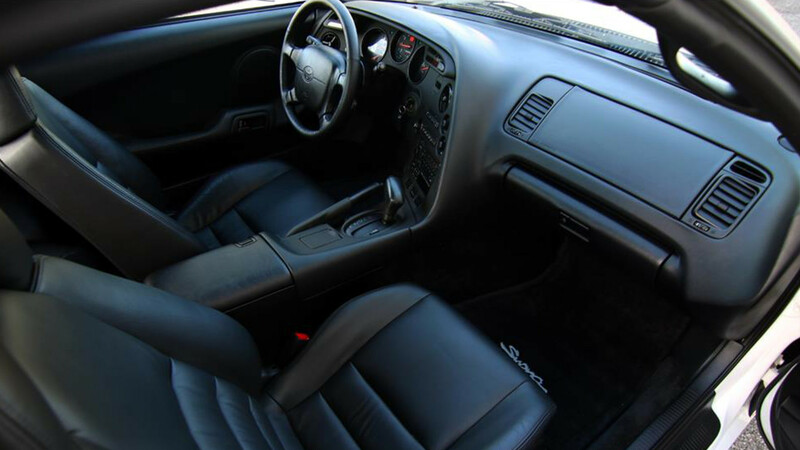 So consider this listing for an unmolested 1994 Toyota Supra Turbo with 5,600 miles a refreshing palate cleanser—that is, if you can get the past the $99,999 price. 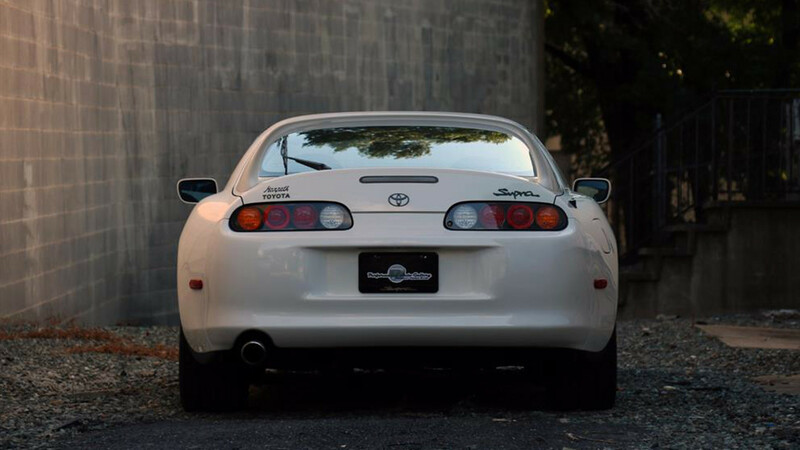 MKIV Toyota Supras have been skyrocketing in value in recent years, so it will be interesting (slash sad) to see if Performance Auto Gallery can find a buyer here to set a new benchmark for the market. Thanks to its single-family owner history, four-digit mileage, and 100 percent OEM parts, this targa-topped turbo model looks fresh from the factory, inside and out. 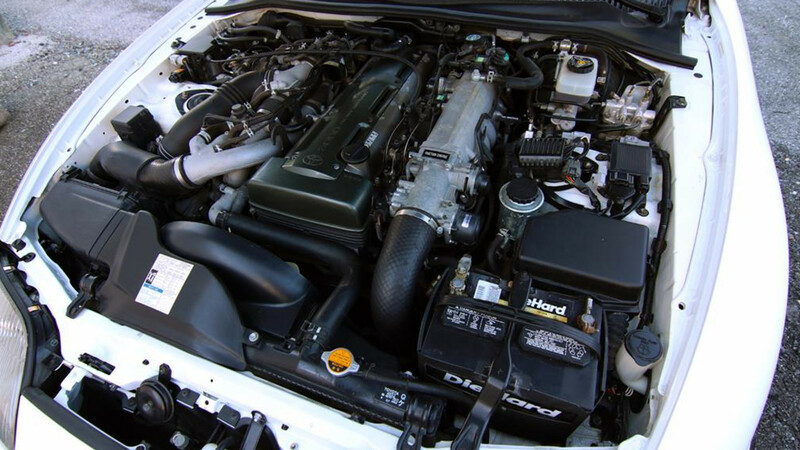 That Super White body has never been drifted into a wall, the engine bay shines like the rising sun, and we haven't seen the plastic interior of a Nineties-era Toyota look that good since Jonathan Ward literally re-dipped all the pieces in his 1996 Toyota Land Cruiser resto-mod. The only thing wrong is that yes, it too is an automatic. Is nothing sacred? But then again, if you've got the scratch to drop a hundred grand on a 23-year-old Japanese sports car, paying someone another $10,000 to track down and install the requisite six-speed Getrag/Toyota V160 manual transmission shouldn't be too hard. 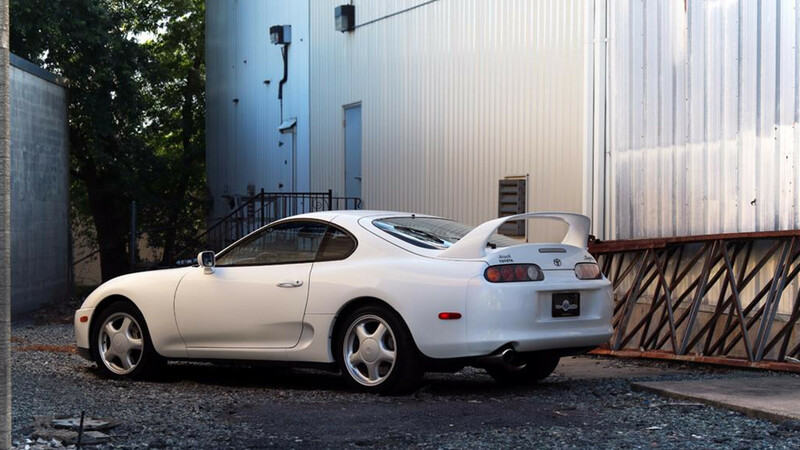 Once that's taken care of, this could be in the running for the nicest MKIV Supra left on the planet. Hopefully the new owner sees fit to actually enjoy that twin turbo 2JZ-GTE inline-six, driver-oriented cockpit, and near 50-50 weight distribution that have enamored so many since the model left our shores in 1998. Lone Star State scandal! After winning a charity raffle and listing the car on eBay, a Texas dealership is in hot water.